Just minutes from the busy, bustling downtown core of the city you’ll find the Toronto Islands–a five-kilometre oasis of 15 interconnected islands that locals have been escaping to for fun, relaxation and tranquility for over 200 years. The Islands are a popular destination during the spring and summer months, but are largely forgotten by locals and visitors during the fall and winter – a great time to experience the serenity of the Islands in a way that very few locals do! 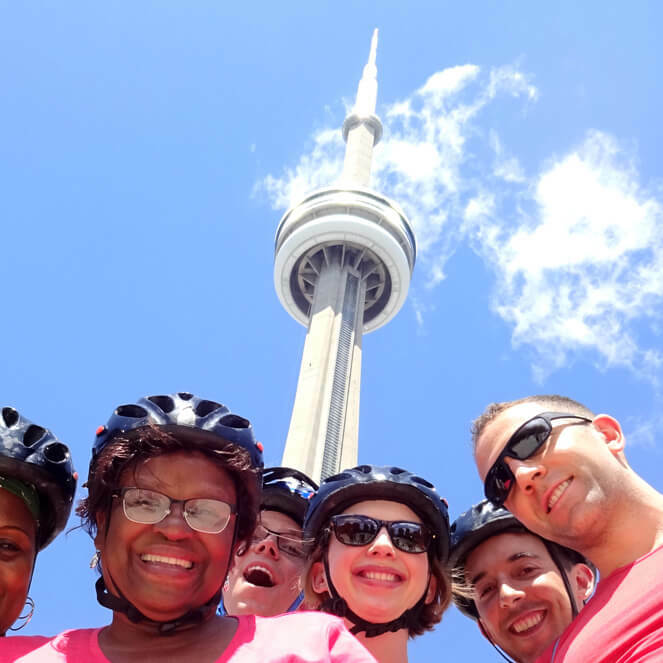 You’ll explore the beauty of the islands, the history and attractions, a quaint cottage enclave which is one of the largest car-free communities in North America, and stunning views of the Toronto skyline. 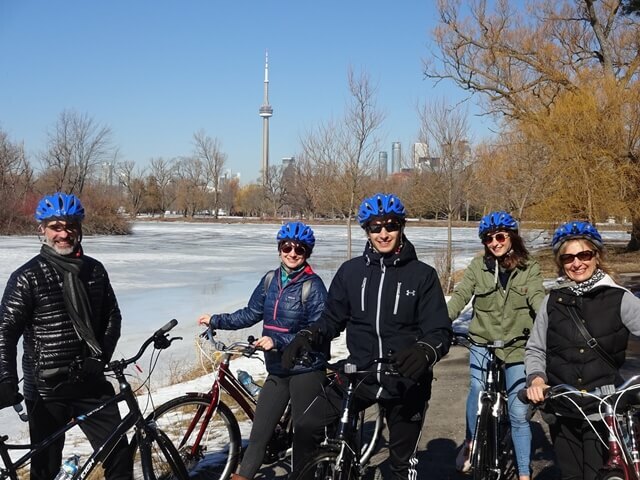 Worried about riding in Toronto in the Winter? Don’t believe the rumours. During winter Toronto is anything but the North Pole. In fact, the average day-time temperature is warmer than many think, and paths and roadways are usually snow-free and dry. We provide cycling blankets (ponchos) and gloves to keep you warm. 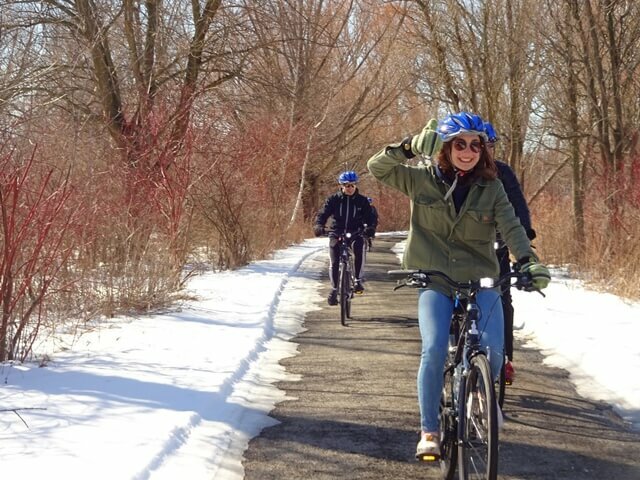 All of this means wintertime is a wonderful time to take our Islands Bike Tour! "The tour is singular! It is a great experience to do with friends or family all year around. The sites on the island are beautiful and serene. Bicycling around is a fun and different way to see and learn about the island." 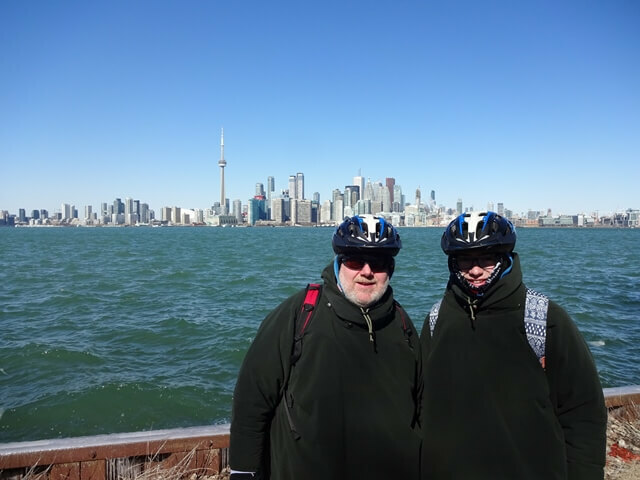 "I truly enjoyed this bike tour to the Toronto Islands! The tour guides were amazing, very friendly, and very knowledgeable of the island and city. They provided all of the winter gear that I needed to stay warm on this cold winter day. 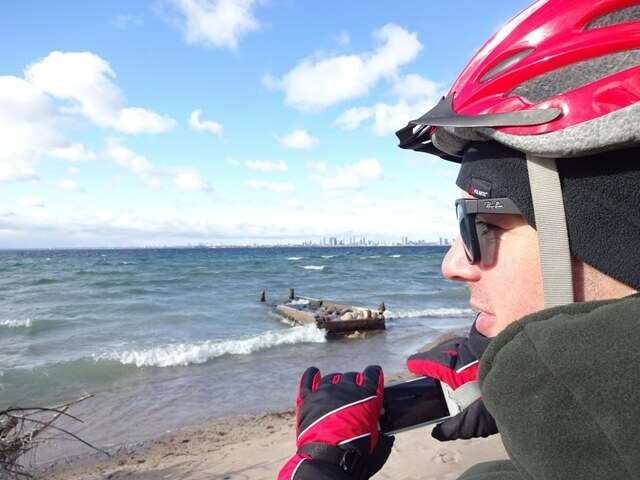 The Toronto islands are beautiful and definitely worth a visit." "Mina was an amazing tour guide! She had tons of fun facts and stories about the city and islands to share. The bikes were super nice and we enjoyed the combination of city and trail biking. Would absolutely recommend this as fun way to get outside in the winter in Toronto!" 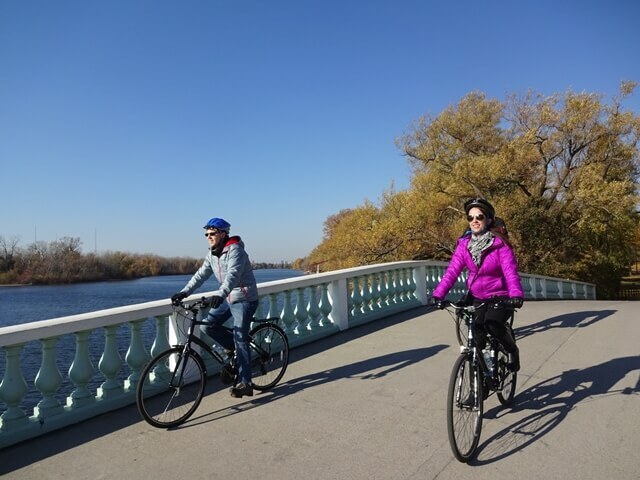 Price of bike tour includes: use of a bicycle with helmet, water, snacks, ferry ticket, winter cycling poncho, gloves, hand warmers and tour guide(s). Children are welcome when accompanied by a parent/guardian. Reservations required.